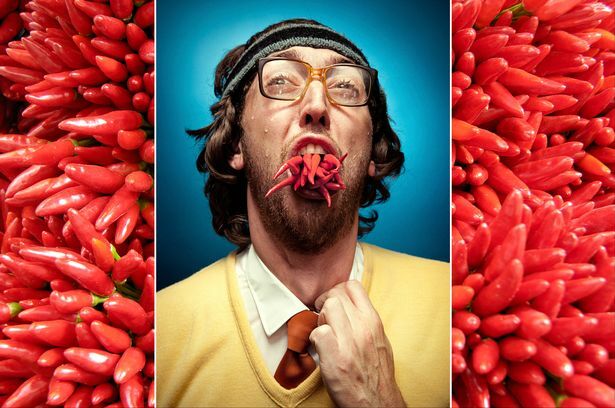 We all should be familiar with the face melting pain that comes from chillies. Whether it’s from our favourite curry or hot sauce on a post-beer kebab, the power of chilli has the ability to bring tears to our eyes. So why does this happen to us, and is there a way to stop it? 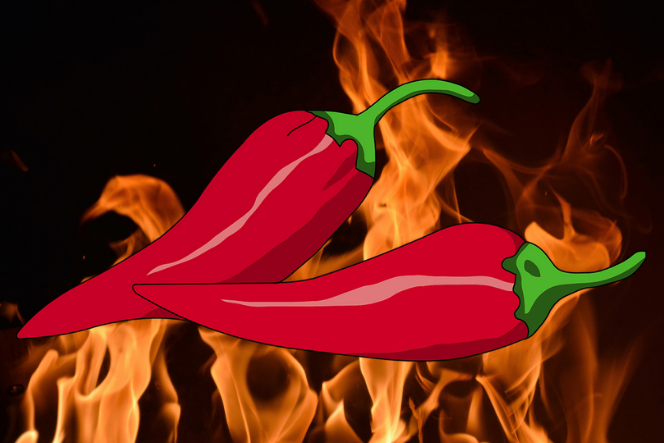 A chemical known as capsaicin is to thank for the deadliness of chillies. In its pure form, capsaicin can irritate your skin, eyes and lungs. A small dose with a concentration of 118.8mg/kg is deadly to 50% of tested mice. The feeling of burning is actually a pain reaction caused by a chemical reaction between the capsaicin and your taste buds. This means that next time there’s tears streaming down your face from one too many chillies, you can at least claim that you’re in real, physical pain. Yet some of us pride ourselves on our ability to chow down on ever increasing capsaicin filled chillies. If you do ever reach your limits when it comes to chilli chewing, it is much better to go milk over water. This is because chilli has a long non-polar tail, meaning it doesn’t dissolve in water (just like oil floating on top of water in a pan). It will however dissolve quite well in other non-polar substances, namely milk. Alcohol can also dissolve the capsaicin, with the stronger the alcohol the better. Although I wouldn’t recommend the volatile mix of a belly full of vodka and chilli. As with all things, pain is an individual experience, and some people can handle it better than others. This is why we all have a different tolerance to chilli, from those who get the sweats from a satay curry, to Ian Rothwell, a British doctor who ate the world’s hottest curry ever, aptly named The Widower. This curry was so deadly that during preparation the chefs had to wear goggles and facemasks to avoid serious bodily harm. So next time you’re crying over a curry that’s too hot, just know that science has your back with an almost-cure of milk and alcohol (although hopefully not mixed together). The staff at Chattr put their chilli tolerance to the test in the video “Conversations with Chilli”, with some pretty questionable results.